About 23 years ago, Laurie Day experienced a spiritual awakening, an Initiation, during which her heart opened and she felt Total Love, Total Trust. "I was immersed in this ecstatic feeling. From a place deep inside of me I heard the words, THIS IS THERAPY!" This life-changing event catalyzed the remarkable healing work that Laurie does now. 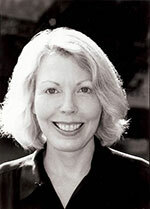 Laurie began her training in traditional psychotherapy by attending the University of Colorado to obtain a B.A. in Psychology and Sociology. She continued her education at the University of Maryland where she received her Master's Degree in Social Work. She then went on to become a Licensed Certified Social Worker-Clinical. During the course of her developing career, she has established programs and training for adults and children, and has presented seminars and workshops to many corporations in the areas of stress management and effective communication skills. In 1991, she founded and continues to run Children's Ark, a non-profit charity for helping children at risk. Laurie has discovered that while traditional "talk therapy" sometimes helps people gain more insight, they often continue to feel very unhappy even after many years of treatment. What is remarkable about the holistic psychotherapy that Laurie practices is that people begin to feel much better from the very first session! Her gentle energy balancing techniques allow people to release their anxiety and depression very quickly and effectively. Her abilities have evolved through years of studying many alternative healing methods; such as, Past Life Therapy, MariEL Healing, Reiki Healing, Light and Sound Therapy and Gestalt Psychotherapy. The healing work that Laurie does helps each person, in their own unique way, to gently release old blockages from the past. As she explains, "the cells in our bodies remember everything that has ever happened to us. Of concern are the particularly painful and traumatic events that are stored in our cell memory that affect us physically, emotionally, mentally and spiritually. Someone will make an innocent remark to you, and your cell memory is instantly triggered, and you overreact with great anger or hurt to their comment. If you are able to step back, you realize your reaction has nothing to do with this particular person, instead you are really unhappy because of something that happened in the past. All these past events run us and keep us in misery until we find a way to let them go." What makes Laurie's healing work so profound is that not only does it provide a way to gently let go of the past from the core level of cell memory, it also reconnects the person with who they really are in their pure heart and soul. As people become clear, they make choices from a place of deep love and respect for themselves, and so their lives become much happier. One of the first things a person will say as they leave the session with Laurie is, "I feel so much lighter now!" In addition to adults, Laurie is working with more and more children and teenagers. "They have less 'baggage' than we do and they catch on so fast. I have a little 6-year old boy whose mother brings him in because his father died suddenly two months ago. He has now learned to do the energy work on himself, he tells me, 'when I feel sad about daddy.' The other day he noticed that two of his playmates at school were very sad, so he says, 'I taught them what to do and then they were happy!' Now he says to me, 'I don't need any more therapy, I do therapy on myself all day long and I have magic in MY hands'. WOW!! The children these days are so sensitive and bright. They are growing up in such a complicated world. It is so satisfying to teach them some simple tools to restore their self-confidence and help them navigate clearly!" Laurie Day is a Licensed Certified Social Worker and founder of the Center for Positive Living. She is a holistic psychotherapist in private practice and loves working with children as well as adults.